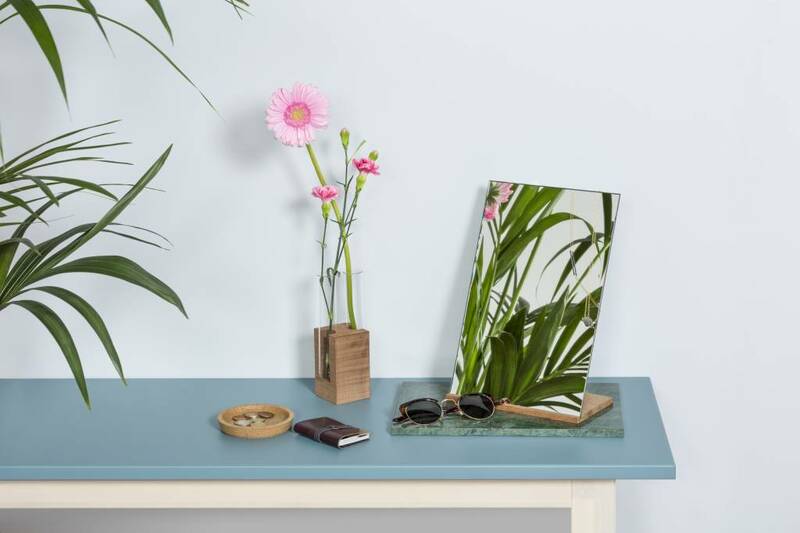 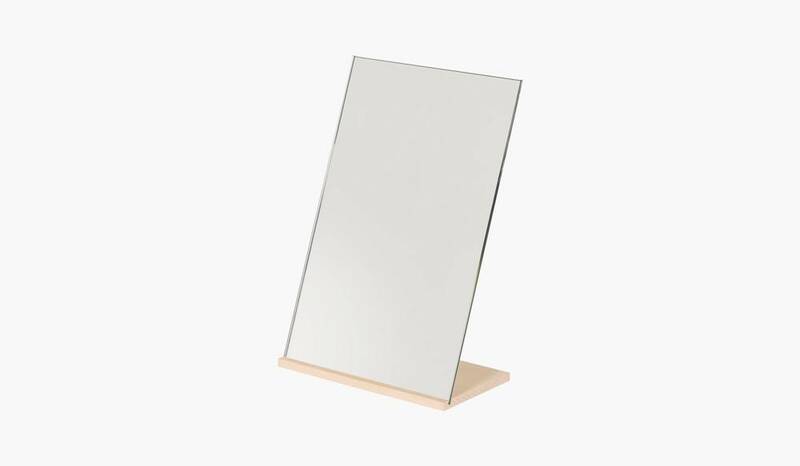 The rectangular mirror Reflector Rectangle with the BASE 20 wooden mirror holder. 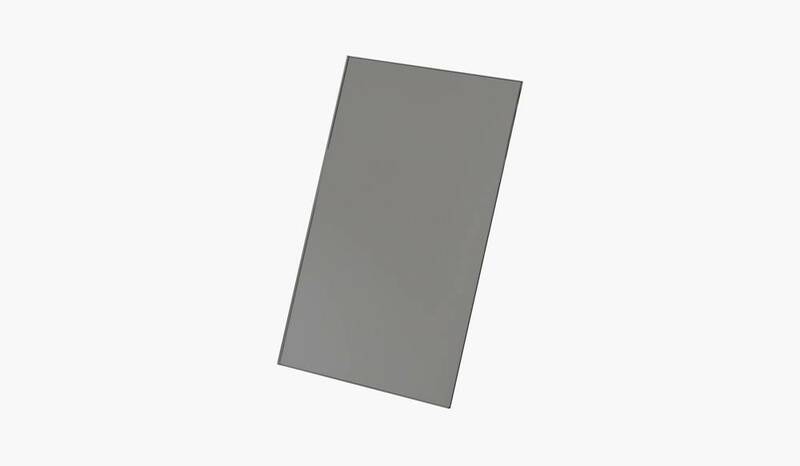 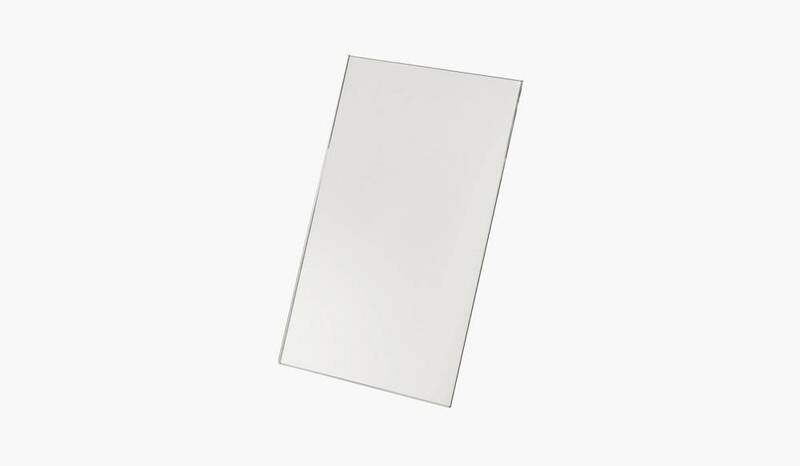 Mirror available in Blanc and Gray color. 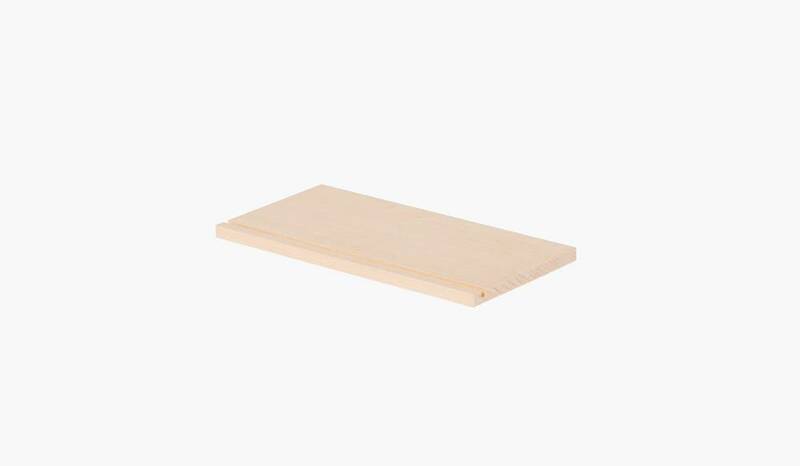 The holder is available in light wood Hard Maple or dark wood Jatoba.